Lots of books claim they can change your life. But how many actually teach you how to take the many small steps that lead to success each and every day of your life? 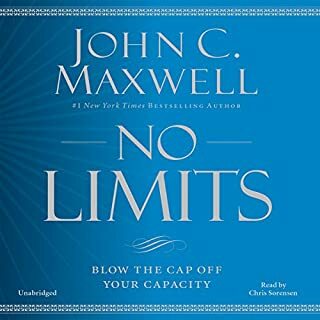 Now in Today Matters, motivational teacher and best-selling author John C. Maxwell shows you how to seize the day. In this hands-on and inspiring guide he offers twelve daily practices to help you control your daily agenda, make time for people you love, and find success in your career. There's a great time to begin a more successful life. It's called today. First of all, you won't be disappointed by purchasing this book. Previously, I've listened to "Roadmap for Success". It changed my life for good. 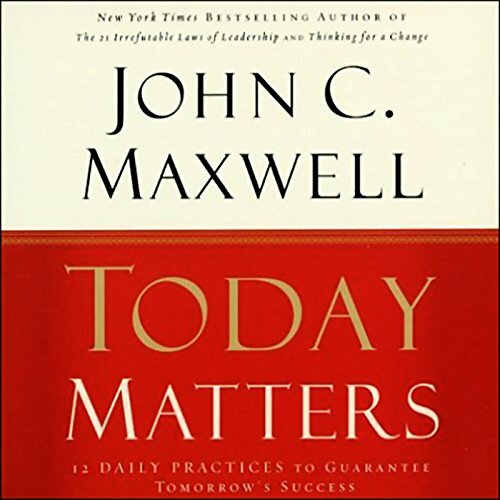 If "Today Matters" was my first John Maxwell book, it would make nearly the same effect. The only negative thing is overemphasize of religion. It's just my opinion of course. One of the better books I have read that are very descriptive in how too change your life on a daily basis. 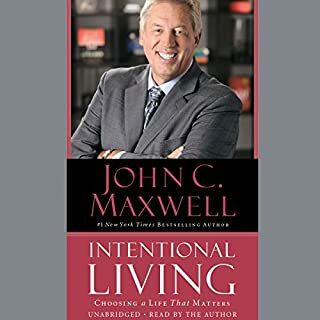 John Maxwell has always been an easy person too listen too (or read) and this book is another great one. His teachings are brilliant, and very easy too follow and take notes too. Highly Recommended!!! 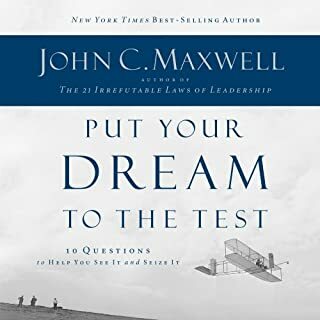 You can always count on John Maxwell to give you a roadmap that is easy and logical to follow, and this book is no different. With this book, he broadens the typical list of things you might use as anchors in your life (you know the standard five -- family, work, financial,civic, and social)-- and thereby bring a broader set of tools to help align life with goals. He also provides good examples from his own life to bring it all together. Another good Maxwell book -- if you liked somd of this other books, you will like this one too. Definitely a must read if your searching that something that will pull it all together in your life. it's all about step by step AND discipline!!!! This book maybe short but it is packed with great and useful information, if you buy it and apply it it will change your life. My advice is to write down the 12 principles and hang it up. Want to turn your life around? Read this book! Would you listen to Today Matters again? Why? Yes, I would listen to this book again. It has so many amazing insights that I am determined to remember in order to make them effect my life, that I intend to listen to it several times in order to commit the valuable knowledge I've learned to my memory forever. John Maxwell, because his life's experiences give me inspiration. He is a true mentor and someone who's wisdom I feel I can trust to enhance my life. I have not listened to any of John's other books. I plan to. Make the absolute most out of the life you have TODAY, and reap the true benefits of staying committed to a better way of life. Any person who wants to change their life for the better must read this book. Buy this book for your adult children who need direction, and insist that they read it. A child who reads a book recommended by their parent, has show the ultimate amount of respect by understanding their parents love for them. After reading this, if you put the principals into action in your life, you will inspire change in the people around and influence your world in a great way. 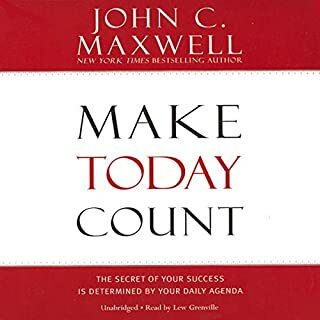 Thank you John Maxwell for your book - Today Matters - because Today Does Matter! This is one of the best self books I have every come across in years. If you want to have a productive day and a better future then you should read this book. This audible book spends too much time at 40,000ft and too little beyond very general advice. At first I was enthused, and there were a couple quotes I found particularly valuable, but on the whole I finished feeling rather dissapointed. 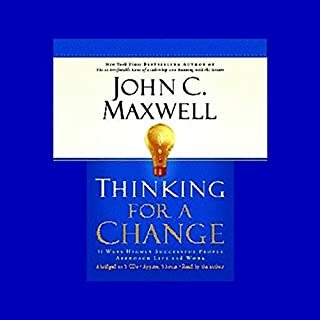 John Maxwell has an effortless way of communicating life changing truths. In Today Matters he takes you through twelve key areas for our lives and shows us how giving time and attention to these areas each day, will have such a huge impact on what we do and who we are. Packed with practical examples the listener will feel connected to Maxwell's easy delivery of everyday steps which always feel achievable. I already had Today Matters in book form, but the audio book brings a whole new dimension to it. 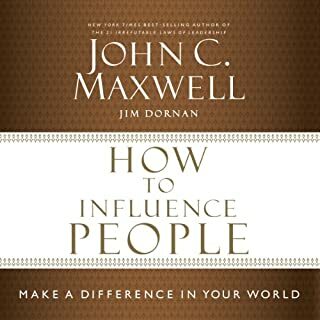 If you only ever have one John Maxwell book, then you have got to make it this one! Sound words of wisdom from a man seeking to be faithful to his calling as a leader, husband and follower of Jesus Christ. There's no greater calling! The genius of Maxwell is that he taps into what we already know. That our everyday endeavours allow us to shape our future. In an era of X factor quick fame and success its refreshing to read a book that reminds us of central truths... firstly, that we write huge chunks of our future and second, that we do this in the mundane choices of the everyday. The book is wonderfully composed and keeps you engaged... and finally nails the lie that values don't matter... they do, they always have... great read. if you're serious about changing your life for the better. read this , no nonsense practical ..